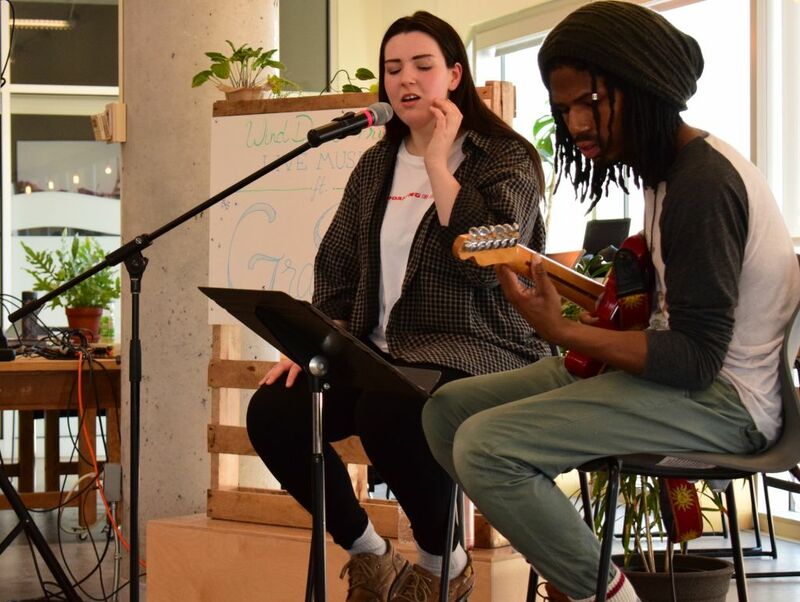 As part of the AC Hub’s Wind Down Friday program on Jan. 11, Ottawa singer-songwriter Grace Marr shared some of her own renditions of popular songs for Algonquin students. The 20-year-old covered many generational hits such as Stevie Wonder’s Signed, Sealed & Delivered and Michael Jackson’s Human Nature. Robbie Riggs, the guitarist from the local cover band The Lionyls, accompanied her on his electric guitar. Born and raised in Ottawa, Marr began writing and performing her own songs at the age of 12. At 16, Marr was the opener for many bands and artists such as The Hot Chocolate Pockets and Malak Ghanem. 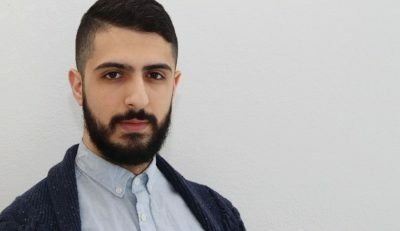 Marr is a two-time semi-finalist of the Canadian Songwriting Competition and has also performed at RBC Ottawa Bluesfest. She has also worked with the youth organizations Girls+Rock Ottawa and Youth Ottawa. Marr, who now embodies a wide range of genres in her music, recalls being influenced by more soulful singers when finding her own sound as an artist. “Besides Adele, I didn’t really see a lot of women that are just not [skinny]. A lot of big voice singers are in gospel and soul and that’s what I was drawn to.” Her influences also includes Alicia Keys, Amy Winehouse and Jessie Reyez. Although her career started in Ottawa, Marr believes it is an ideal city for many young artists and musicians to grow. “Ottawa is small, but it makes it easier to connect and [it’s] so much easier to get noticed.” She recalls that many artists had left Ottawa in order to achieve success. Marr believes that coming from a smaller city, is something to be proud of. In spring 2019, Marr is set to release a personal nine-track EP (extended play) titled Tsunami, which encapsulates themes of relationships, faith and happiness. Grace Marr performs for students at AC Hub Reviewed by Perushka Gopalkista on January 15, 2019 .